Comet Falls, so named because it resembles a comet's tail, glows underneath the night sky. 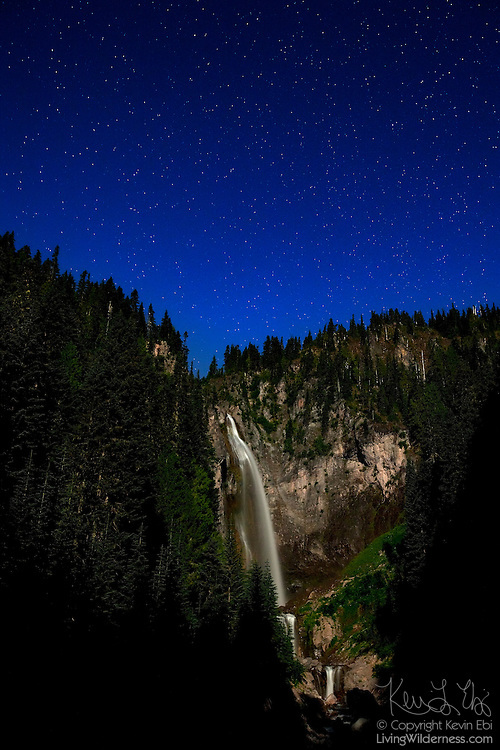 The waterfall, which is located in Mount Rainier National Park, Washington, is lit by the full moon. Comet Falls, at 320 feet (98 meters), is one of the tallest waterfalls in the park..